New Years is a time full of positive intentions, goal setting, and lifestyle changes. For most, the new year is the perfect opportunity to set goals for living a healthier lifestyle. It’s a time of breaking bad habits and transforming into the health guru that you were meant to be! No but really, there is something about the start of a new year that feels fresh and motivating. For most of us, this is usually the time when we feel motivated to improve our health and wellness. It’s also a time when we expect ourselves to leave all of our mistakes in the past and live a perfectly healthy life. Although becoming a fitness guru right away is pretty unrealistic for most, I would never bash anyone for wanting to live a healthier life. I admire and encourage it! After all, the best time to get fit and healthy is when you feel motivated to do so. If that is now, more power to you! I don’t have a doubt in the world that you can accomplish or at least progressively work at this goal. 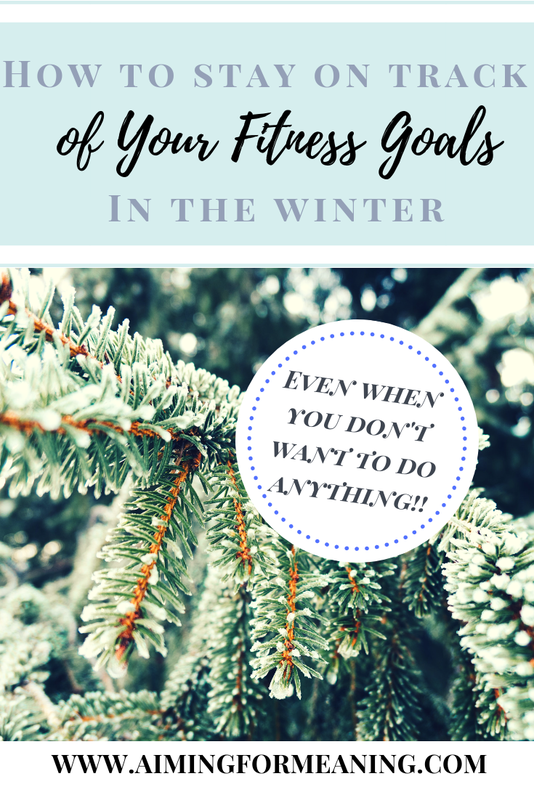 Below are some tips you can use to make sure you set manageable, meaningful goals for the start of and remainder of your health and wellness journey. Why did you want to start your fitness journey now? What is it that you want to accomplish? Have you always wanted to be able to run a mile? To squat your bodyweight or two times that? Make sure whichever performance goal or goals (no more than 3) you choose to work towards are valid and unique to you. For me, I wanted to be able to do pull ups and cleans. I had clear goals, direction and something to work towards. When I achieved these goals I made new ones, and once I accomplished those I made others. It’s a never-ending process. As you grow, your goals will grow. That’s the beauty of living a health lifestyle. Finish a triathlon or marathon. Be able to do a pull up ( or whatever # you have not yet reached). Be able to run a mile ( or whatever # you have not yet reached). Be able to do 25 push-ups without stopping. Learn how to do a clean. I know these may be absolutely random to you. That’s okay! If none of these goals resonate with you, they’ve at least got you thinking. Do not let anyone convince you that you need to do something you hate every day for you to be healthy. That’s complete bull. As a matter of fact, that’s the perfect recipe for pushing you to quit. Instead, try several avenues to physical fitness (running, hiking, yoga, crossfit, jiu jitsu, lifting, sports, etc.) and figure out what you like best and do that. You can also mix it up so you don’t get bored. I’ve been working out regularly for about 7 years. I go through periods where I like to do hot yoga, periods where I want to do only crossfit, months where I only did jiu jitsu. It’s always changing. You’re not stuck doing one thing. If your interests change and you want to try something else, try something else. Just be sure to set new performance goals. Majority of us start our fitness journey because we want to be healthy and by healthy we mean lose weight. There is nothing wrong with this but you should definitely not let it be your sole motivator for exercising. Have you ever completed an awesome workout and the euphoria spreads over you, making you feel refreshed and amazing? That is what you should chase. I know it may seem like common sense but there are a lot of times where we unbudgingly push ourselves to accomplish goals despite not feeling well or hating the process. We don’t want that to be the case with your fitness journey. Continue to do what makes you feel good and cut out the things that don't. This is not to say that everything will be easy and you’’ll love it every day. Oh do I wish that was the case! No, it will be difficult some days to get out there and get it done but at least once you get started and finished, you’ll feel good about it. Most importantly of all, do not be so hard on yourself that you become frustrated and obsessed with not reaching your goals. Making the decision to live a healthier life is half the battle. You’ll have to fight for this over and over. You may go through lulls where you don’t want to exercise at all. You may work out six days a week for six months and accomplish tons of goals. It really is a never-ending process. Be kind with yourself and know that you will get back on track and do it. Always get back to it! What performance goals have you set for yourself this year?